Resources for "dairy, food & beverage processing"
The Sprinkman portable CIP cart is creating solutions for small equipment cleaning needs. 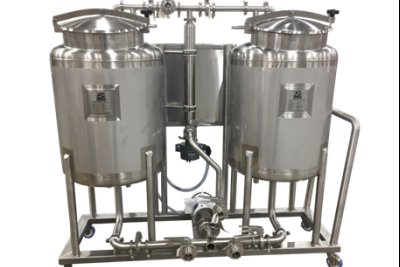 It features portable, all-stainless construction with two 75 gallon tanks, an inline heating element, a pump with VFD for speed control, and all the necessary valves and tubing. It can perform many operations including: recirculating water or chemical to heat-to-temperature, sending and recovering cleaning solution to tank or piece of equipment and recovery of chemical for re-use. The inline heater is Sprinkman’s best feature since it provides ultimate versatility and heating on-the-fly. Simply plug it in and have full control of the pump and heater from a small, convenient, control panel. With safety in mind, the heater cannot be operated while the pump is not running. Please ask us for custom solutions! W.M. 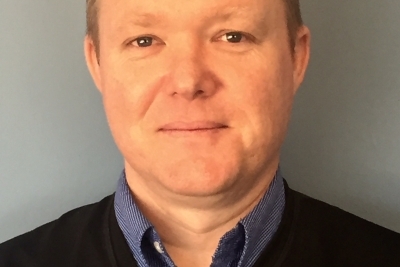 Sprinkman Corporation (WMS) is proud to announce and welcome Brian Armstrong as the National Accounts Manager. Brian will be responsible for sales leadership, concentrating his efforts in serving multi-location customers across the U.S. and Canada in the Dairy, Food and Beverage segments. 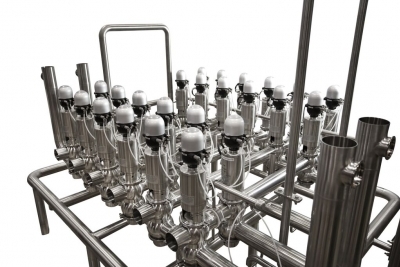 Allows for a better designed, more compact process system that is ready-to-go when it reaches your plant. Save time and money off-site, while project is designed and built at W.M. Sprinkman AND on-site by minimizing downtime when integrating equipment into your existing system. All inclusive tanks, pumps, valves and controls are pre-assembled on a tubular stainless steel frame and will come ready to “plug in”. Factory Acceptance Testing (FAT) is completed at W.M. Sprinkman prior to installation, reducing trouble-shooting on site. Flexible design will integrate into your existing equipment and allow for easy expansion down the road.